If you happen to work for the LGT, the Princely Family's private banking and asset management group, in Liechtenstein for a long time, you are bound to be invited to go visit another traditional business in the Principality by your boss. 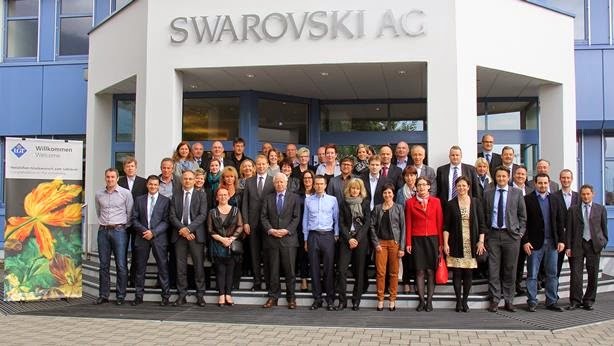 And so Prince Philipp and a number of jubilarians visited the Swarovski AG in Triesen on last Tuesday. The LGT's chairman of the board of trustees invites his company's longstanding and deserved employees to visit another Liechtenstein-based company every year.